No reservations are needed for the bar lounge. Direct Parking - 51 West 56th Street.Any 5 hours after 6:00pm is $18, tax included, Monday - Friday. Any 5 hours Saturday & Sunday is $18, tax included. You must have ticket validated with host at front desk. 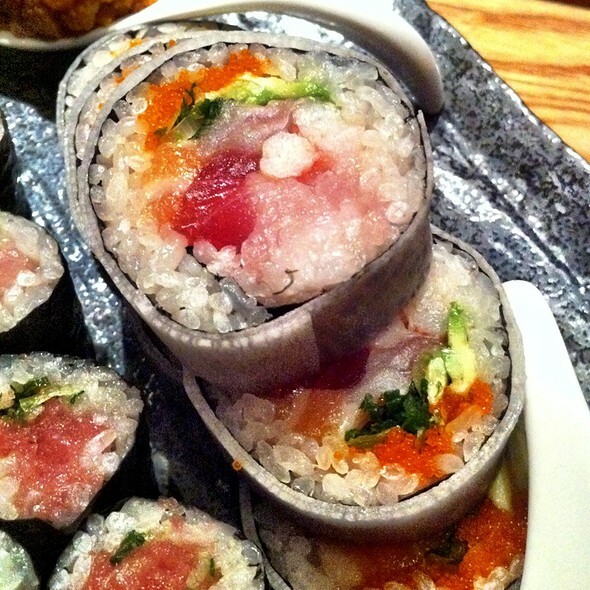 Nobu Fifty Seven is available for private parties for partial or entire evening events. Please contact the Special Events department at 212.757.3063 or by e-mail at nyc.events@noburestaurants.com for further information. Nobu Fifty Seven, the first uptown New York location for legendary chef Nobu Matsuhisa, opened to much anticipation in the summer of 2005. Nobu's co-owners are his longtime partners: renowned restaurateur Drew Nieporent, Oscar-winning actor Robert De Niro, and Hollywood film producer Meir Teper. The restaurant showcases Nobu's signature new style Japanese cuisine with classic dishes such as Tiradito Nobu Style and Black Cod Miso, and the hibachi table. The restaurant received three stars from the New York Times. Designed by David Rockwell, Nobu Fifty Seven evokes fluidity and the imagery of an Asian river with curves and details of abalone shell chandeliers, sliced bamboo stalks in terrazzo tiles, scorched ash tables and Japanese quilt fabric. Sake barrels imported from Japan tower over the first floor bar counter as diners make way to the upstairs dining room. Burnished woods, rich hues and soft lighting create an ambiance of elegance and refinement. After being at Nobu in London and Lanai, I was expecting same experience in NYC. Unfortunately it felt more like a fast-food bar then restaurant. Consistently great food service and vibe. The place is awesome but was too loud... food was ok.. I've been coming for years, and it's always been a special experience. This time, it was not a great experience, basically because of the patrons. Too many guys in sweatpants, hats, and cell phones! Between the use of cell lights to read menus and picture taking, along with the inappropriate clothing and behavior, the whole vibe made me feel like I was trapped in a low-class tourist kind of quicksand. I couldn't wait to leave. That said, the food and service was extremely good as usual. Even our server felt our pain. I suggest the restaurant enforce a no camera (or at least flashlight) policy. The Washu beef Toban style was phenomenal and the standout dish for us! We also enjoyed the Nobu ceviche, Yellowtail with jalapeño, King crab and Shitaki mushroom salad! Perfect place to celebrate my daughter’s birthday!! Fabulous experience, especially the service. The wait staff were non-intrusive and didn’t interrupt conversation to take orders or ask questions. They knew exactly what to suggest for a table of our size to order (9 people) and didn’t need anything to be repeated. Overall, they could not have been more professional or efficient. 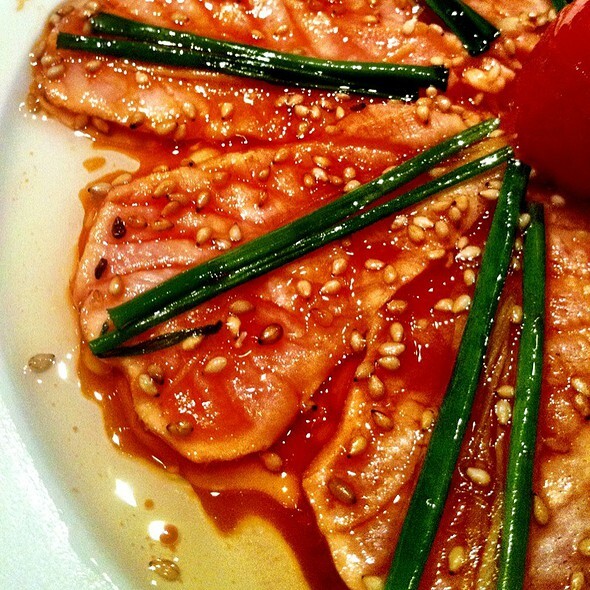 Food-wise, the quality of the sushi and sashimi is outstanding. Some of the flavours are quite subtle so it’s worth trying the dishes before adding soy sauce/wasabi. Otherwise, while there are too many great things on the menu to speak to, the black cod was particularly impressive (and was devoured in less than 60 seconds). Bear in mind that the portions are a little small, so err on the side of ordering more, rather than less, and when in doubt ask your server. This really is an outstanding restaurant and the team work very hard to ensure a seamless and enjoyable experience. 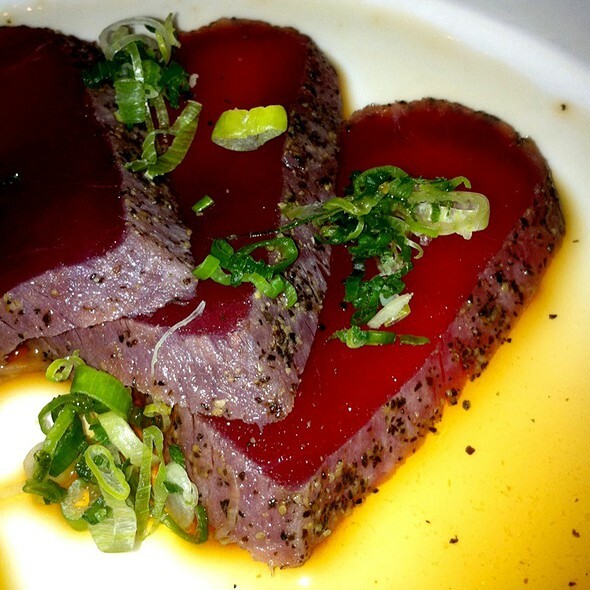 WE'VE RETURNED TO NOBU 57 MANY TIMES AND CONTINUE TO DO SO. THAT'S THE MOST ACCURATE REVIEW. We came to New York for my birthday from Chicago. As a fan of quality dining, I was excited to see what Nobu had to offer. I was not disappointed. The food was excellent, but I have to say that the service set this restaurant apart from the rest. I was amazed that there were no visible earpieces to communicate with each individual. Instead, everything was coordinated in immaculate fashion. For those that think this is silly, imagine all those times you’ve sat waiting for your plate, or sat with used place settings while enjoying the rest of your wine. None of these things happened. We missed his name, but our waiter was wonderful, even offering suggestions on where to go after for a low key Saturday evening. Thank you Nobu. Everything was incredible. We spent an evening there and food was great. Environment very soft and really intimate. One of my top 5 favorite!!! Great food, great atmosphere and great service!!!! good food, somewhat expensive; service was attentive, when available. Excellent lunch. the food is phenomenal. loved it and recommend it. Seated on top of other guests on both sides. Dust covered wall behind bench seat. Loud obnoxious guests two tables away that were interrupting everyone’s else’s evening. 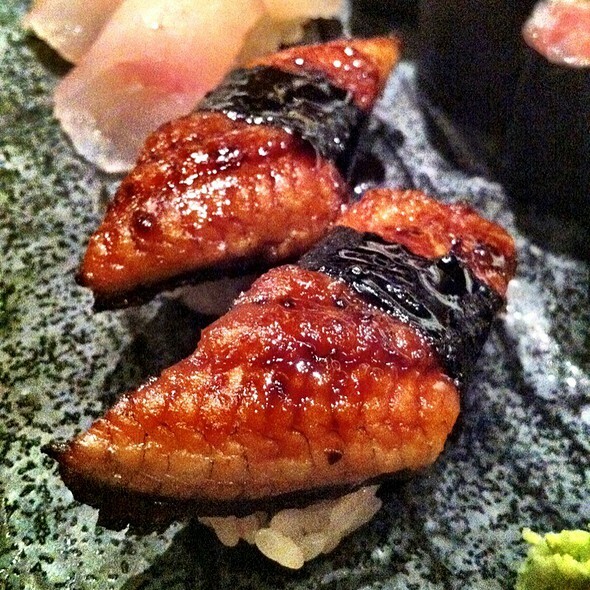 Food was consistent with other Nobu locations but overall experience at this location was lacking. Definitely recommend the downtown location than 57th. 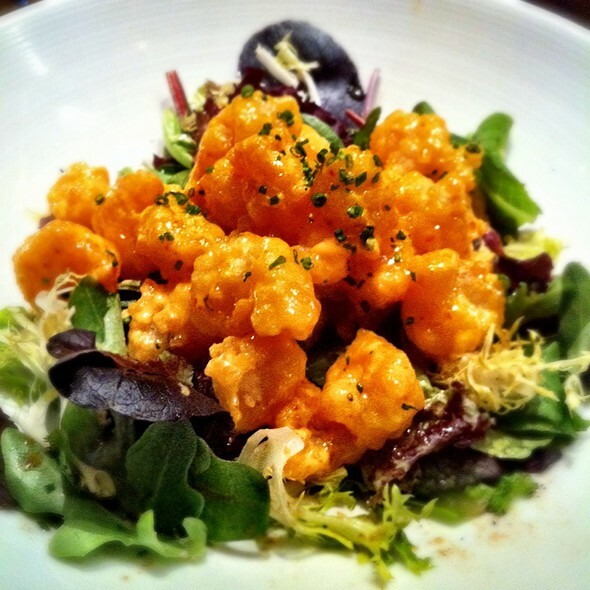 Nobu was one of the first restaurant choices I made for our first visit to NYC and I must say I was quite disappointed. I don’t think it leaves up to the hype plus it’s so bluddy expensive (like everything else in NYC)! We spent about $430 for two people and I think it’s outrageous. The food was good but I wouldn’t say it was that good for that money. For that money I could have gone to a top notch restaurant back at home in Sydney. Maybe I put my expectation way too high but at least I got to try it. My bento box served cold and hot food separately. The sushi was some of the best I’ve tasted. Perfect flavours and presentation. Try to get a spot at the sushi bar and enjoy observing artisans work their craft. Very cool ambiance but not very traditional Japanese. The rolls were lacking and the service was sub par. Multiple different meals brought to our table that we did not order. The wait staff also couldn’t recommend any Japanese whiskey and was lacking knowledge about most things Japanese. 3/29. Waiter never around. Food excellent. It was great! I loved the food. However, I feel like the portions could be a lot bigger. Very efficient service with helpful wait staff. The food is superb but the maitre d’s seem simply transactional and not terribly accommodating . Was purposely overcharged until I caught the mistake. My daughters birthday. 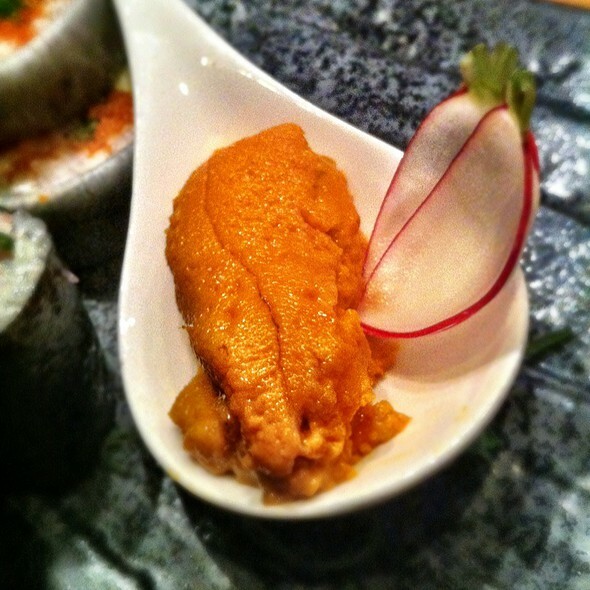 It was great the best service ever at Nobu. The waiter was the best which made the experience so much better. The food is always great. For three people two alcoholic beverages and shared desert the bill was 311. It was worth it. I booked using open table and requested the bar. We got seated in regular dining room though so if you make special requests make sure to remind them? Wonderful experience! The service was amazing and the food was sublime. Not that impressed with Nobu. Meal selection was far less than expected given a preference for hot entrees vs sushi dishes. Also, waiter was attentive but not overly friendly. We made a reservation for 9:30pm and had to wait until 10pm to be seated. The bar in the reception was full so we spent the full 30 minutes standing up.